What Does Code P0176 Mean? Today, we’re accustomed to seeing the ethanol blends offered by refueling stations across the country. Almost every gallon of gasoline contains at least 10% ethanol (E10), an alcohol derived from corn stock, and most vehicles have no problems using it. Higher ethanol concentrations would be a problem for engines not calibrated to use it. 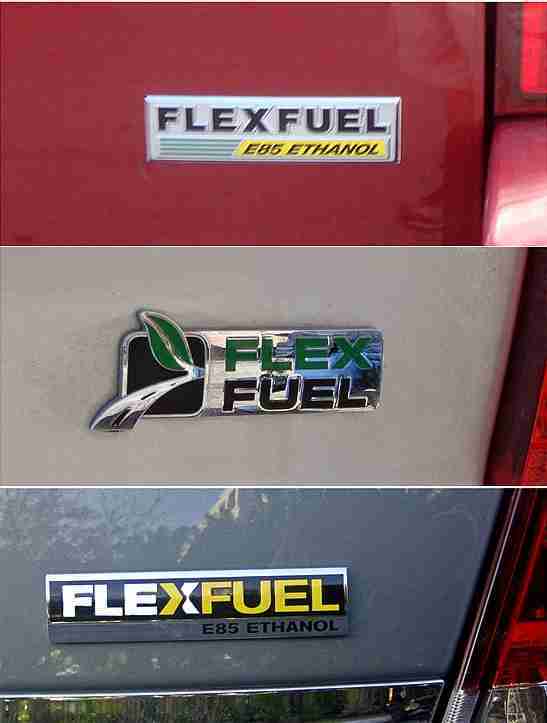 Flex Fuel Vehicles can use up to 85% (E85) ethanol fuel. Flex-fuel vehicles can use higher concentrations of ethanol, up to 85% (E85), but the engines are designed primarily to run on E10. To extract the most power most efficiently at any given time, the engine control unit (ECM) needs to know how much ethanol is mixed with the gasoline. The fuel composition sensor detects the amount of ethanol in the mix by detecting oxygen content (gasoline has zero oxygen), which can vary from 10-85%. The ECM can adjust running parameters depending on ethanol content, resulting in smooth and efficient power output. Fuel Composition Sensor measures the oxygen content, directly proportional to the ethanol content, of the fuel. Aside from continually monitoring ethanol content in the fuel, the ECM also monitors the sensor itself for abnormalities in operation. If the ECM detects a fault in the fuel composition sensor, it will set a diagnostic trouble code (DTC) in memory and illuminate the check engine light (CEL). What are the common causes of code P0176 ? Depending on year, make, and model, DTC P0176 may have number of causes. Here are some of the most common. Contaminated fuel has excess oxygen content, throwing off ethanol sensor readings. Ford TSB (technical service bulletin) – faulty fuel composition sensor readings because of water intrusion in a sub-harness connector. Fix was dry, repair corroded pins, reassemble and seal. Sensor Eliminator – The engine might run with the sensor disconnected, but you’d also have the CEL on all the time. A couple of aftermarket manufacturers have developed sensor replacements that put out a fixed frequency, usually set to E10 concentration. This supposedly eliminates the CEL, but also makes it so you can’t run on E85. What are the symptoms of code P0176 ? Aside from the CEL, you may not notice any drivability symptoms, but only as long as you are running E10 gasoline. Otherwise, you may notice anything from rough idle to poor performance or stalling. How do you troubleshoot code P0176 ? Malfunction DTCs generally refer to abnormal sensor response, which may be caused by a faulty sensor or circuit or a problem in the fuel system. 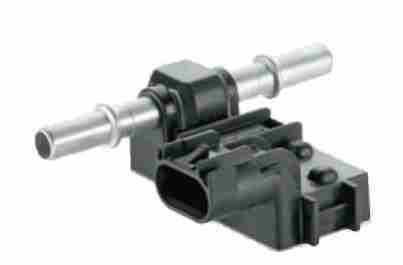 The fuel composition sensor is typically located on the low-pressure fuel return line and is a three-wire sensor: Power, Ground, and Signal. The ECM uses the pulse-width to calculate ethanol content and adjust engine running parameters to suit. A typical ethanol-frequency chart. This particular model also measures fuel temperature. Check that the ECM and fuel composition sensor are connected and there is no corrosion or evidence of water entry. Check wire harnesses for obvious damage. Repair as necessary. Check the fuel lines for kinks or other damage which could reduce fuel flow, as this can lead to abnormal sensor readings. Repair as necessary. Check that the fuel is pure. A contaminated batch of fuel can skew sensor readings. Flush fuel system as needed. A fuel system cleaner may help. Circuit Checks – With the KOEO (key on engine off) and sensor and ECM connected, check for power, ground, and signal at the sensor. Power should be 5 V or 12 V depending on the vehicle. Ground should read 0 V. To read signal, you should set your DMM (digital multimeter) to Hz (frequency in hertz). Depending on the vehicle and fuel ethanol content, signal varies from 40 Hz to 160 Hz, with higher ethanol content prompting higher frequency generation. If voltage is incorrect, trace and correct this problem first. If voltage good but frequency is bad, suspect a faulty fuel composition sensor. This is a notoriously expensive sensor, consider rechecking other diagnostic steps before condemning the sensor. If voltage and frequency are good, recheck at the ECM. If voltage or frequency are bad at the ECM, trace the circuits and correct the problem, there should be continuity (0 Ω) end-to-end and open circuit (>10 kΩ) to each other and to ground. Repair as necessary. If voltage and frequency are good at the ECM, suspect a faulty ECM, but check with a professional before condemning the ECM, as this is not common. None found. Ask a question about P0176.